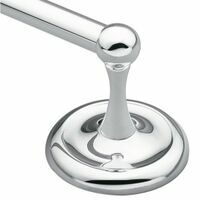 Special diamond design helps prevent towel slipping and snagging. Die-cast appearing mounting plates. Scratch and rust resistant. Easy to install. Hardware included. Special diamond design helps prevent towel slipping and snagging. Die-cast appearing mounting plates. Scratch and rust resistant. Easy to install. Hardware included. 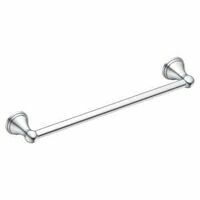 Special diamond design helps prevent towel slipping and snagging. Die-cast appearing mounting plates. Scratch and rust resistant. Easy to install. Hardware included. Bright chrome finish. Bagged. Triple drying action. Arms hinged in sturdy back plate. Scratch and rust resistant. Easy to install. Hardware included. Bright chrome finish. Bagged. Chrome plated for durability. 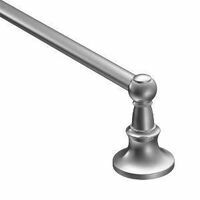 Diamond bar design helps prevent towel slipping and snagging. Die-cast appearing mounting plates. Scratch and rust resistant. Easy to install. Hardware included. Brushed stainless steel finish. No hardware required. Hang item inside or outside cabinets. Non-absorbent foam backing protects cabinets. Made of zinc alloy.